>br /> In the 1980s, Vinny Lamorte, owner and namesake of Vinny’s Deli in Pawling, was running a successful wholesale pasta business. The money was good, but something was missing for Lamorte. “I wasn’t crazy about the wholesale business, I’m more of a people person, I like to engage with people,” he recalls. When the opportunity arose, he bought a building in Pawling and opened up Vinny’s Deli. The specialty Italian deli will celebrate its 25th anniversary next March. Over the years, Lamorte’s store and his friendly New York City fugetaboutit personality have became staples of downtown Pawling. Lamorte’s culinary creations have earned acclaim and been featured on segments of “Live From Daryl’s House,” a free monthly webcast that was founded by Daryl Hall of the rock group Hall & Oats. Customers have also become hooked on the store’s sandwiches, catering dishes, specialty items and fresh store made mozzarella—especially the mozzarella. It is not surprising that owning a deli and making Italian specialty items comes naturally to Lamorte considering food is pretty much in his blood. “I was born in Italy, I came to this country when I was six years old. We settled on Arthur Avenue in Little Italy in the Bronx. We lived there until I was about 12, then we relocated to Carmel where my older brothers opened up a deli. I worked there as a kid.” He says his family’s history owning a deli helped prepare him to open his own business. “Growing up in the business it makes it a lot easier than doing something blind,” he says. That sense of family and community is a big part of the shop. Lamorte knows most customers by name. 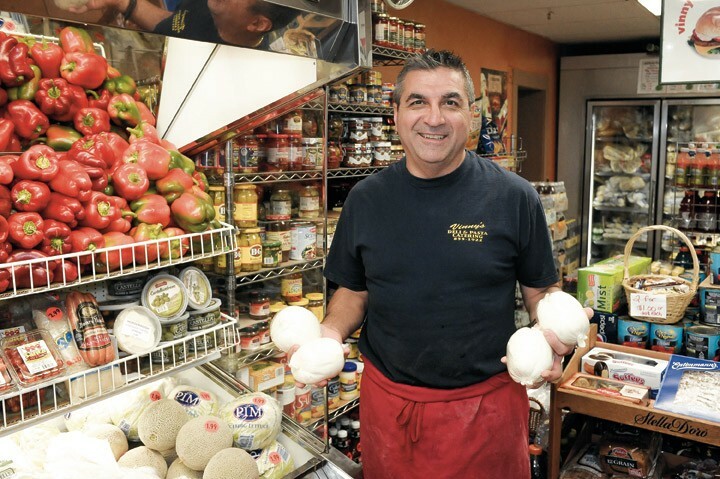 Newcomers are also welcomed, Lamorte says he can spot people coming to the deli for the first time by their body language, and he says he always makes sure to offer new customers a free sample of mozzarella.